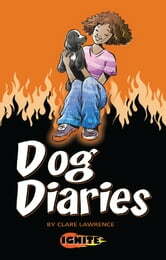 The Ignite series of reading books, are for children and young adults aged 10 to 14 and over who are struggling to read. Each book has been carefully written for those with a reading age of approximately 6 to 6.5, but are packed full of adventure and brilliant illustrations to really grab the reader interest. All Sam has ever wanted is a pet dog but she knows her family cannot afford one. Can she persuade her parents to take on a charity hearing-dog for deaf people?